Engr. Mohammad Tarek, Assistant Professor, Dept of EETE, Dhaka International University: As the daylight slowly extinguishes, the night gently ascends. Sometimes the night is festive, sometimes poisonous. Humanity’s unseen world comes to light in the dark of the night. Such a night has been depicted in the unique creation titled ‘Ratri Jatri’ (Nighttime Passenger). This is a motion picture. More importantly, this is a story of a night in a woman’s life. It’s not easy to portray a night in cinema. But a certain director has accomplished that specific objective. But a few words should be said before giving his identity. Once upon a time in our country, BTV used to broadcast different foreign shows like Six Million Dollar Man, Macgyver, The A-Team, X-Files, etc. Many would ask themselves whether it was possible to create something similar in our own country. He made this possibility into a reality. He was the architect behind the first ever detective series in the realm of Bangladeshi television. It was simply titled, ‘Goyenda Kahini’ (Detective Stories). This 26-episode series, broadcast during the early days of ATN Bangla, introduced audiences of Bangla drama to a brand-new trend. He showed that dramas can be about topics outside the living room. Through his hand, police dramas were born in Bangladesh. 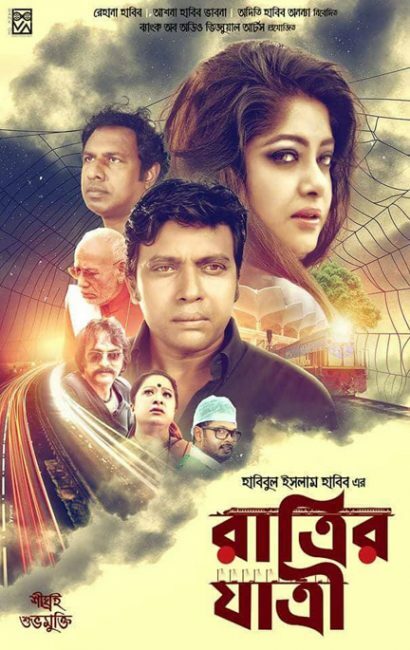 The production, in which Toni Dayes and Shomu Chowdhury starred, is an incredible component in the history of Bangladeshi drama. He is widely considered to be the father of thriller in Bangladeshi drama. He caught the attention of audiences by creating brilliant dramas. A few other thrillers he gave audiences were: The New File, Ekti Goyenda Golpo (A Detective Story), Shada Rong (White Color), etc. Dear reader, if you are well aware of Bangladeshi dramas of the 90s, you might have already guessed the identity of this director. Yes, I am indeed talking about the famous director Habibul Islam Habib. An aficionado of culture, he displayed his full reflection of merit through his work. He has countless skills. Simultaneously a dramatist, cinematographer and a forerunner of cultural movement, Habib is also a dreamer who loves to dream and to enlighten others with his dreams. Habib began his journey in the arts through ‘Prekkhapot Nattyadal’. He directed several critical theatrical plays, which undeniably amazed audiences. Some of his written plays include Idaning Tini Vodrolok, Khati Mir Jafarer Baccha, Barricade Charidik, Sharadin Por and Ultoraat Paltadin Provit.